ELIZABETH CITY, N.C. – The Chevy Bolt EV debuted at CES 2016 on Wednesday, Jan. 6. No worries if you weren’t at the show though; the debut took place on Facebook Live as well, making Chevrolet the first automotive brand to use Facebook’s live stream tool. After the live stream, the video is saved on the timeline like a traditional video, so you’re able to watch it even after it’s done going live. There will also be an immersive 360-degree interior video, so be on the lookout for that. CES has been a place where innovators can show off their latest technologies for over 40 years now, which made it the perfect global stage to introduce the Bolt EV. Chairman and CEO May Barra delivered the event’s keynote speech. The Chevy Bolt EV made its debut at CES 2016 along with three other electric vehicles. The all-new 2016 Volt, 2016 Malibu Hybrid, and Spark EV were included in the lineup, making Chevrolet the leader in electrification. If you remember, Chevrolet actually unveiled the Bolt EV concept vehicle last year at the Detroit Auto Show, so consumers have been anticipating the production version. The 2017 Bolt EV is a game-changer. 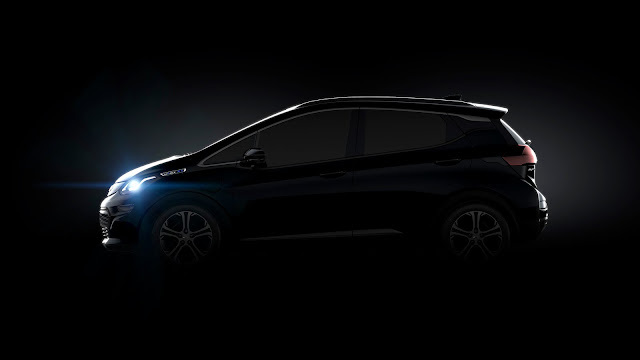 Not only will it be a long-range electric vehicle with a GM estimated 200-miles of range, but it’s also extremely affordable with a price below $30,000 after full federal tax credits. While we’re all waiting on the newest electric vehicles to hit the dealerships, you can still find plenty of great cars to choose from at Perry Auto Group. Come into our dealership today, and we’ll find you a great vehicle that meets all your needs. Perry Auto Group has two dealership locations to serve you better at 1005 W. Ehringhaus St, Elizabeth City, NC, 27909 or 1001 Halstead Blvd Elizabeth City, NC 27909. Stop in for any of your auto or community needs, or feel free to give us a call at (252) 338-9100.